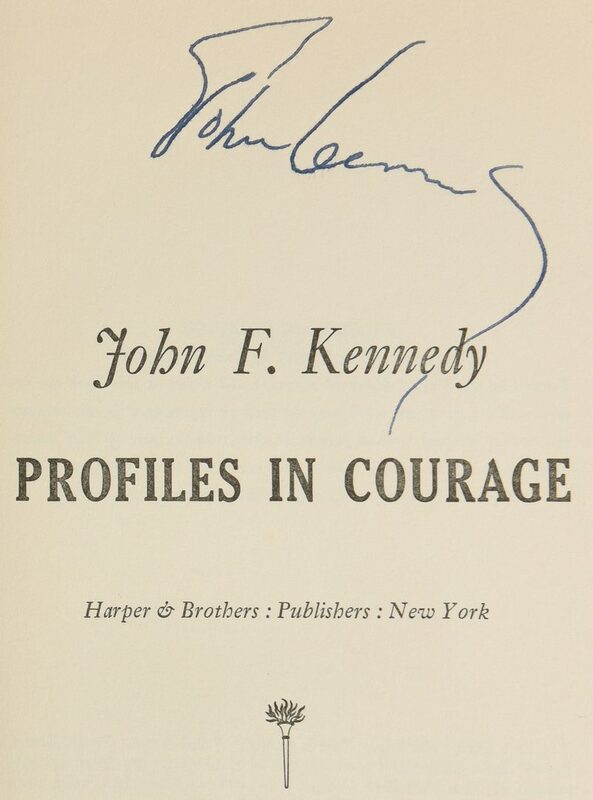 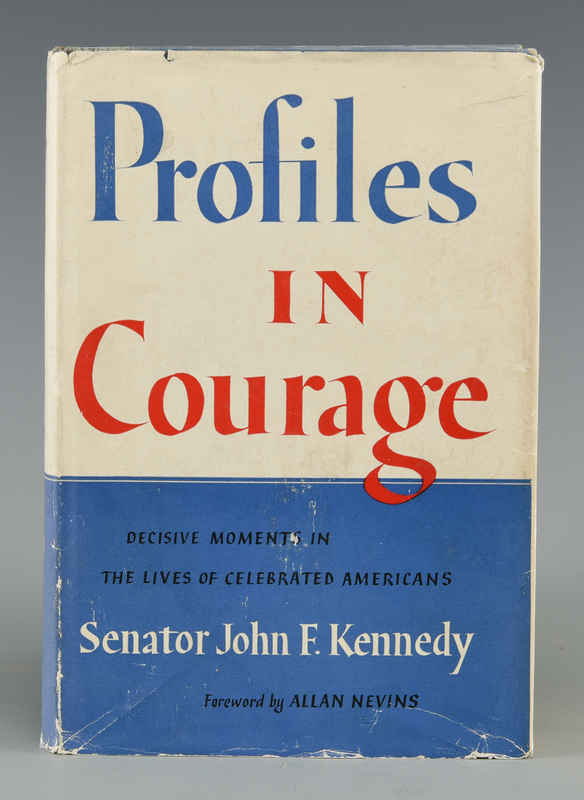 [Kennedy Autograph Signature] Kennedy, John F. Profiles in Courage. New York Harper & Brothers, (1956). 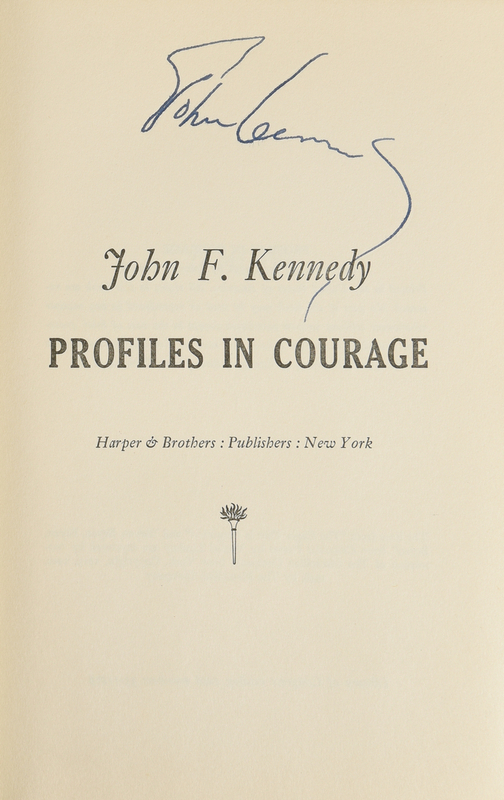 Hardback in dust jacket SIGNED by Kennedy on title page. 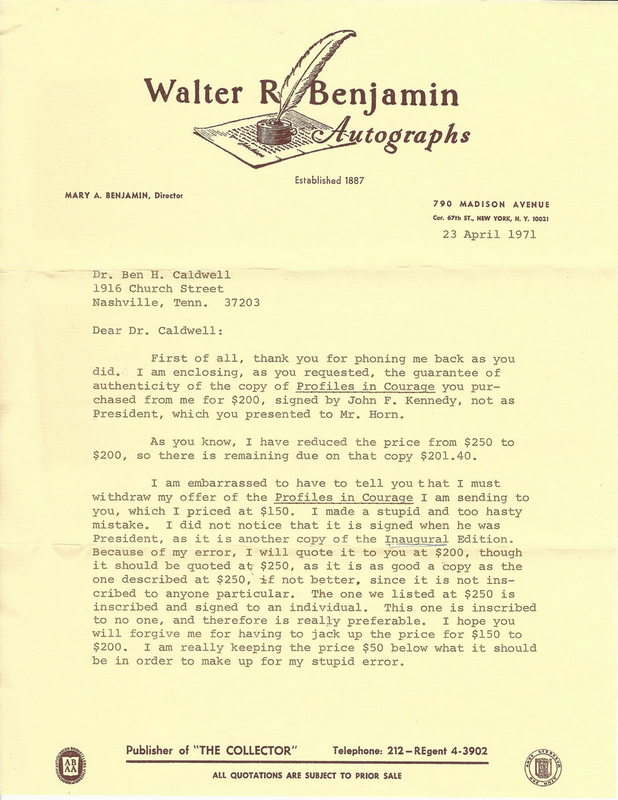 Cache of related material and provenance material laid in, including letter from Mary Benjamin of Walter R. Benjamin Autographs in New York to Ben Caldwell dated 23 April 1971. 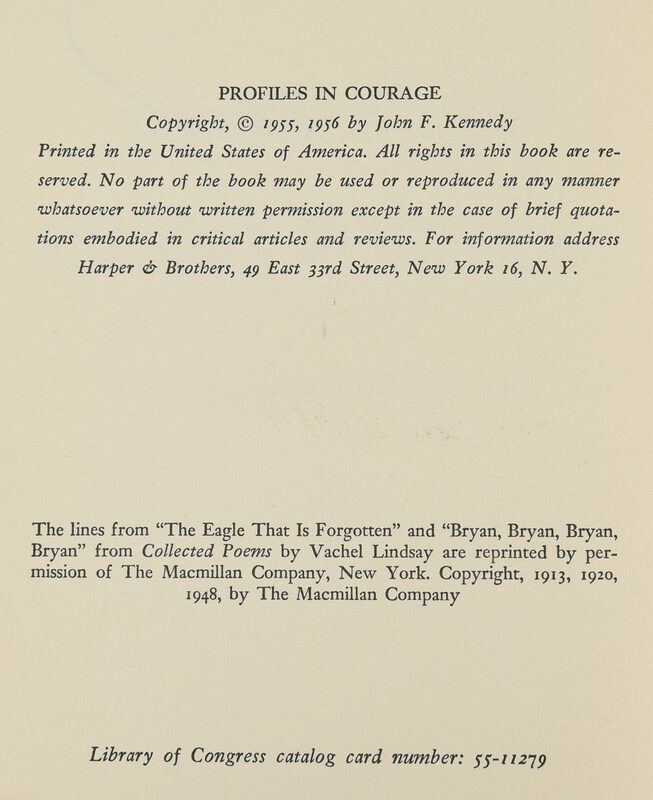 Previous owner name, úSarah E. Cowan 1956 N. Y. Cî in ink and the Caldwell book plate are on the front pastedown. 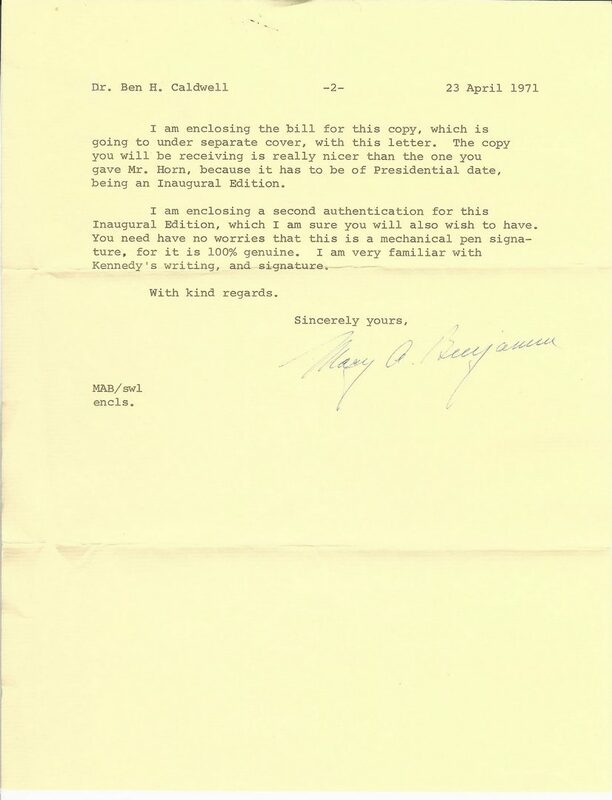 An interesting but tenuous clipping is tipped to front free endpaper. 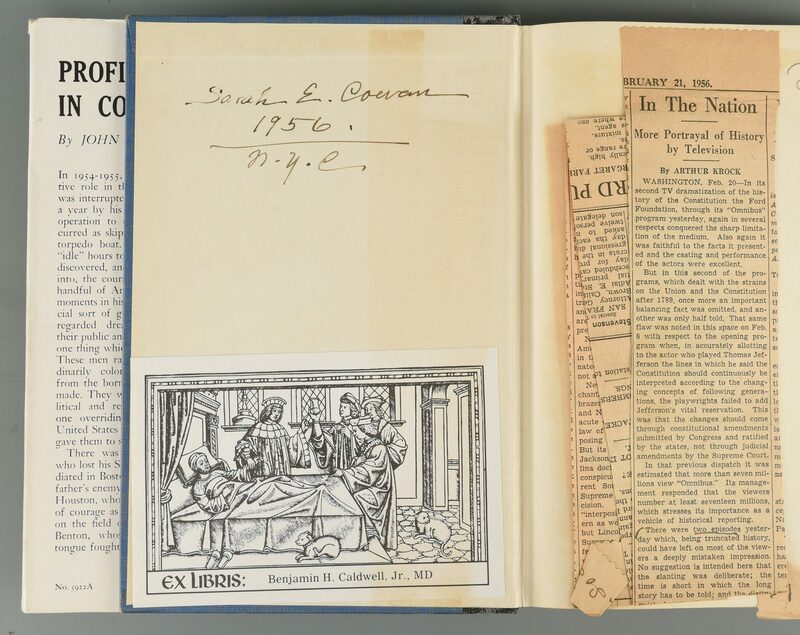 8 3/4" H x 6" W x 1 1/2" D. Provenance: The living estate of Dr. and Mrs. Benjamin H. Caldwell, Nashville, TN. 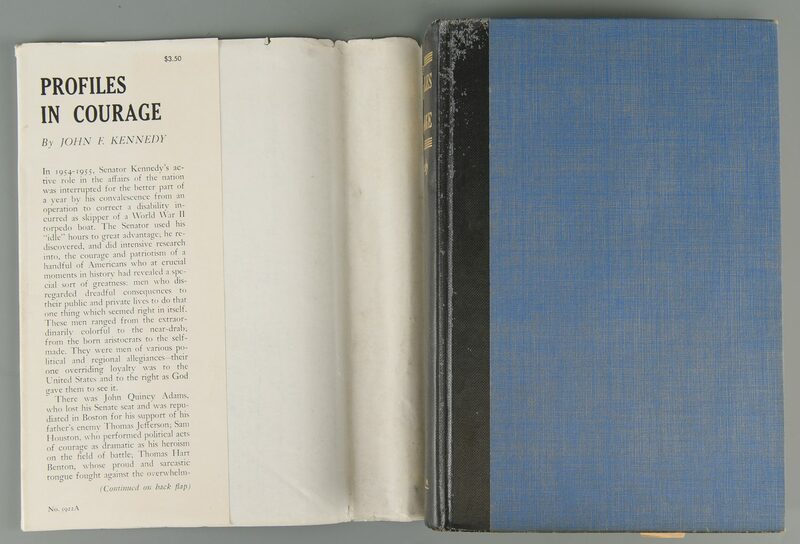 CONDITION: Book is in good condition with overall wear to and slight damage to boards. 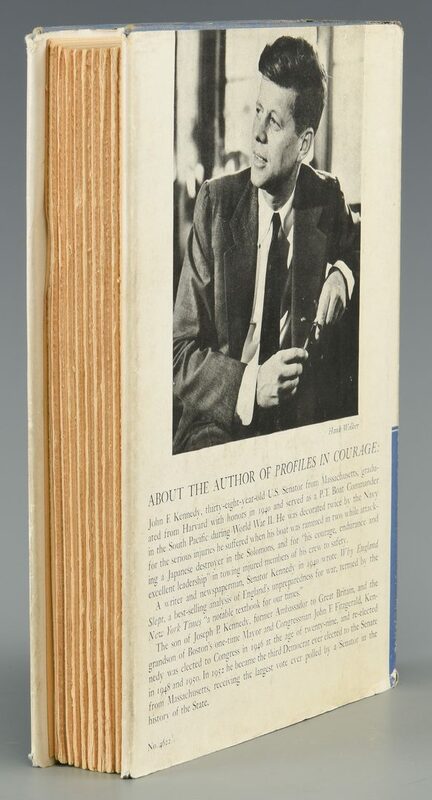 The jacket is some rubbed and has edge wear at extremities and some slight soiling.